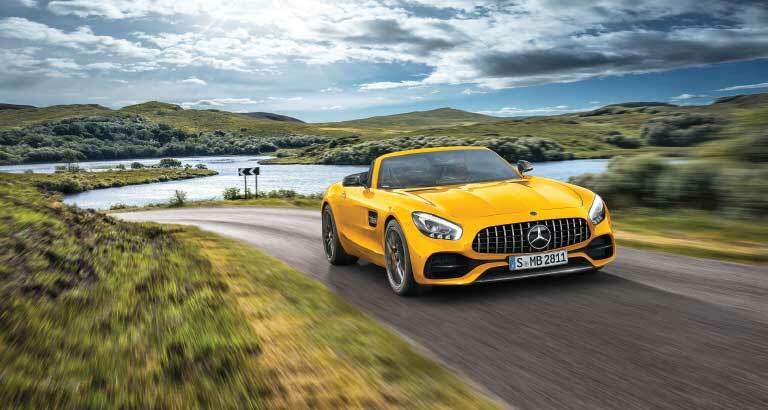 Just in time for summer evenings, Mercedes-AMG extends its sports car portfolio with an attractive open-air model – the new AMG GT S Roadster. With this latest addition, the AMG GT family now has a dozen members: four two-door Coupés, three Roadsters, two customer sports racing cars and three four-door Coupés. The basis for the high driving performance of the new AMG GT S Roadster is the combination of a lightweight aluminium spaceframe, a V8 biturbo engine, a seven-speed dual clutch transmission, a rear axle locking differential and a sport suspension with aluminium double wishbone axles.